The other guest speaker was Karen Johnson. I am not even sure what to say, other than WOW! Talk about an inspiring story. Karen has what is known as tunnel vision syndrome. She may have limitations, but she doesn’t have limits. If that makes sense. Seriously, she is a triathlete and a runner. Her story was AMAZING! She is a friend of Heather’s and Heather recently found out about Karen’s tunnel vision, despite the fact she has known her for years. Karen doesn’t let her “disability” stop her. In fact, she even golfs, although she joked about never being able to see her ball! Yes, there are some things that she is unable to do, but she doesn’t let those things bring her down. She just has this amazing upbeat attitude and look on life. She’s just indescribable! This was Karen’s first time sharing her story publicly. You wouldn’t have known it, though, she was a natural. She seemed so at ease. She did an amazing job. I am so happy that Heather asked Karen to share her story. Thanks, Karen, for stepping up to the plate and maybe stepping out of your comfort zone to share your story with us. You amaze me. And you inspire me. Thank you. And, thanks to Sarah Hernandez, for the wonderful yoga session at the end of the conference. It reminded me that I really – REALLY – need to get back to yoga. Wow, I didn’t realize I even missed it. But, I do. Thanks for reminding me of that. Oh, by the way, I just have to share the conference poster with you…and you’ll understand why after awhile. So, some of you may be wondering why I decided to attend this conference. I am going to share a secret with you as I feel comfortable doing so now. Here goes! In my last post, I talked about doing something different and I mentioned that I went after something but ultimately ended up not getting it. So what was it that I went after? I went after a new job. I know. I know. This may come as a shock to many of you. Especially my Weight Watchers members. Please, just hear me out. And by the way, I feel comfortable talking about this because my boss (my territory manager) now knows. I sent her an email explaining what is going on. So now that she knows, I feel okay sharing it. Maybe I shouldn’t be, but as many of you know, I don’t hide things. I put everything on the table. I have to get things off my chest and out in the open. I have to just lay it all out there. For the whole world to read. Yes, I am that open – whether that’s for the good OR the bad. Some people probably think I am a little too open, but that’s me. Take it or leave it. Anyway, I first have to say that I did not go after a new job because I don’t like mine. I do. In fact, I love what I do. I love trying to inspire people. I love trying to help people change their lives. I love trying to show and teach people about living a healthier and more active lifestyle. BUT…..and this is a biggie. I am not a fan of driving all over the countryside to do so. I am in my car constantly. How much is constantly? Well, two years ago, in July of 2012, I purchased my car – a 2011 Kia Forte. When I bought it, it had about 27,000. Fast forward to August of 2014, just two short years later and my car has a little more than 92,000 miles on it. YES! I have put on about 65,000 miles in two year. TWO YEARS! So, as you can see, I spend tons of time – too much time – in my car. There are several other factors as well, such as I miss writing (I was a reporter for 12 years for those of you who didn’t know that) and, the fact that sometimes, my job is so emotional. It has so many ups and downs and sometimes that’s hard on me. Yes, I am a softie. And there are several other factors as well, but they’re not as important. By the way, nothing is changing YET! I am still a WW leader. I haven’t quit – yet. I am still here. I am still your leader. And, I am still going to try and get you to change YOUR life! 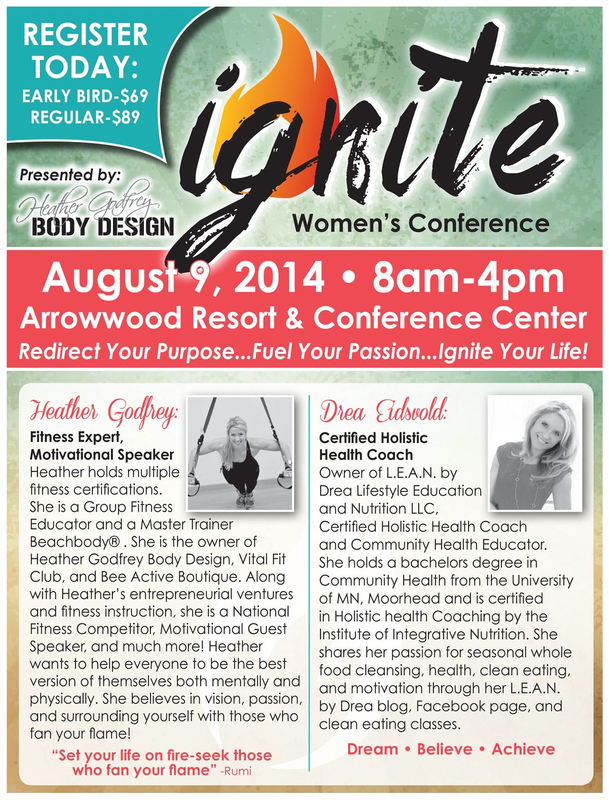 To help you redirect your purpose, fuel your passion and ignite YOUR life! 1. You can’t give your body crap and expect good health. 2. Visualize being positive. Try to Live your best life. 3. Own your confidence – feel it in your soul. 4. We can’t expect things to happen – we have to go out and MAKE IT HAPPEN. 5. Take ownership. Don’t put blame on anything or anyone. Create ownership/accountability. 6. Know your goals. Reach your goals. CELEBRATE your achievements. REWARD yourself. 7. Make a choice to eat REAL food every single day. Live a life of 80/20 – meaning eat healthy most of the time and indulge SOME of the time. Food is nutrition. Food is fuel. We need it. Make it about CHOOSING healthy. 8. Your journey doesn’t have to be about perfection. It should be about transformation. 9. DO NOT DIET!!!!!! Diets don’t work. Diets create a bad relationship between you and food. Quit making it about being good or bad. Make it about being healthy. Period. 10. Find the support YOU need. Find what works for YOU. Not what works for everyone else. Make this journey about you. YOU ARE WORTH IT. 11. Find your purpose. Imagine it. Visualize it. Go after it. 12. MAP it out. In other words, have a Massive Action Plan. 13. Create your plan: Your affirmation (words to live by), your place (where you can go to be inspired, happy), your group (those who will lift you up, be honest with you, support you), your partner (your one go-to person). 14. Take 90 minutes out of your day for you – physically (move more), mentally (maybe meditate), intellectually (read, learn), spiritually (devotions) and ignite your plan! 15. Write down your goals – you are 90 percent more likely to hit your goals when you write them down! Okay, so seriously, I could go on and on and on and on and on about this conference, but I won’t. My life has been ignited. Ten-fold. Now, to just redirect my purpose and fuel my passion! Thanks again to Heather, Drea and everyone else at today’s conference. You ALL are igniters and I am thankful to now have you in my life. 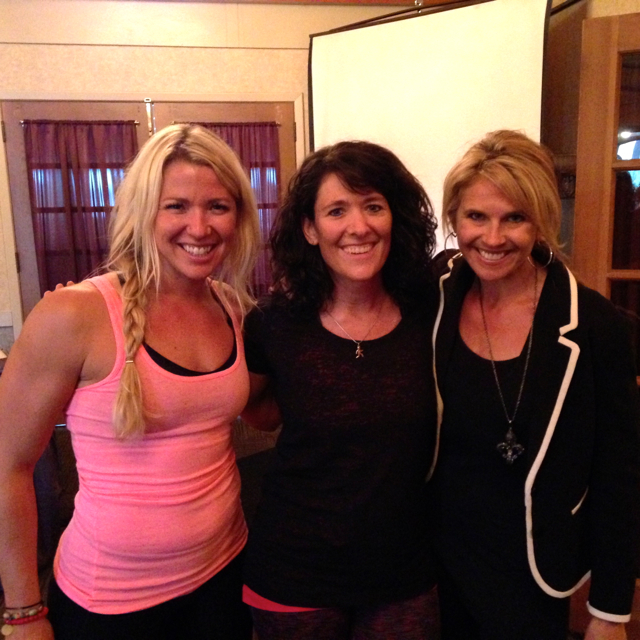 (Here’s a pic of me after the conference with Heather (left) and Drea (right). Thanks ladies for taking your pic with me! 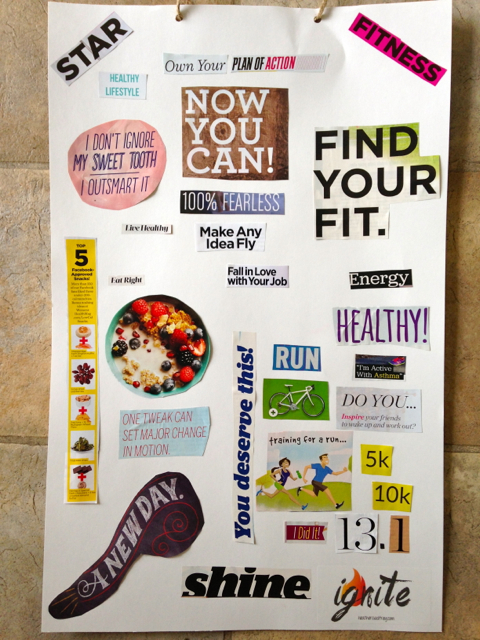 And, here’s a peak at the vision board I made today, which I have to tell you was SO FUN to make. Seriously. It was a BLAST! There are a few more things that could go on it, but at least it’s a start! Thanks soooo much for sharing!!! You are extremely inspirational with W.W. I so appreciate your honesty. Your 15 points are so true. A lot of those or all are things that I personally have to work on. You are such an uplifting person. Thank you again. You have touched many lives in more ways then you realize. You always have a huge SMILE for all. Thanks, Nan! And remember, I am not leaving yet. I am still here for you…and actually, I will always be here for you. YOU have done so well in your journey and I am so proud of you. I hope you are as proud of yourself as I am. You should be! Thanks, Anje! And yes, I loved that quote from Heather. It actually made me tear up a little. By the way, it was nice to see you there! Love your article. As I was reading your blog, I could feel and hear your inspiration!!!! Hi Amy! Thanks. That’s awesome that you could hear and feel my inspiration. 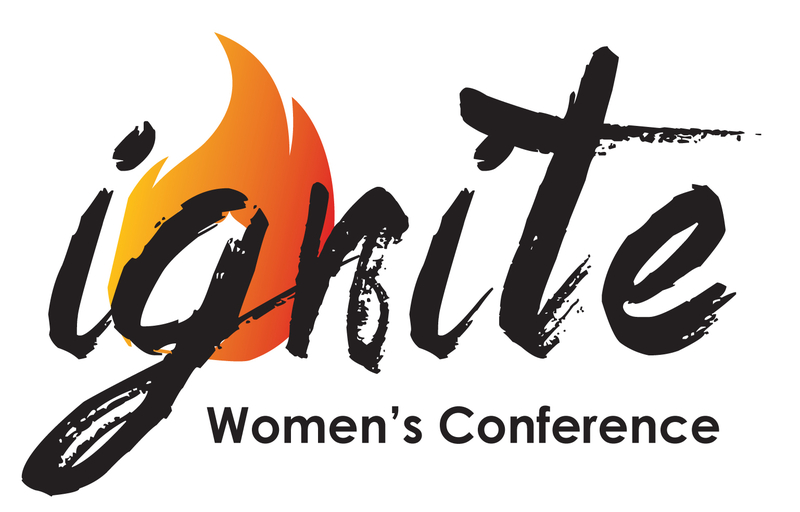 I still feel ignited…my heart and soul are full!